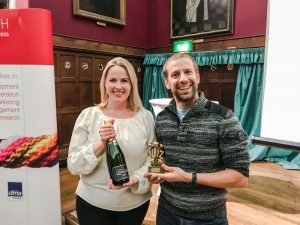 Success At 2017 Annual EACH Charity Quiz. On Friday 13th October 2017 we were proud to host our 7th Charity Quiz in support of East Anglia’s Children’s Hospices. 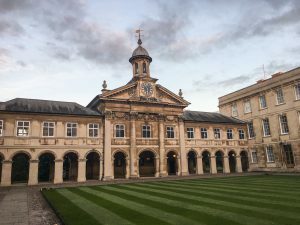 This year’s quiz was held at Emmanuel college and hosted by Graham Butland, EACH Chief Executive. The evening was a fantastic success with Real VNC being crowed the winners! In total we raised £3066.32 on the evening from the Quiz, Raffle and Charity Auction. Everyone at Prospect Research is proud to support such a fantastic cause and over the past 7 years we have raised over £30,000.00 for an amazing charity that supports entire families through some of their toughest times. We couldn’t do what we do without the support of Cambridge businesses who support us so we want to thank everyone who contributed towards such a great evening.